Great for your kids next birthday party! 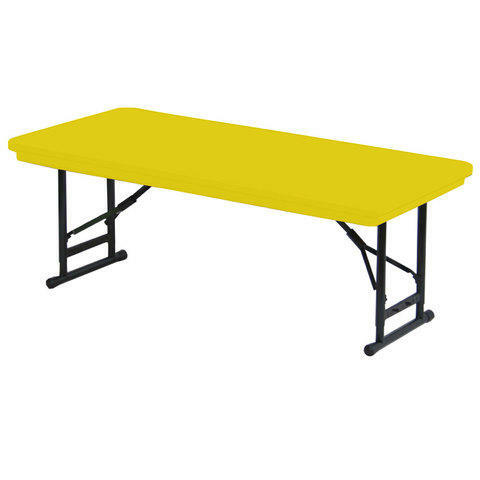 This 72" Rectangular Kids Table is bright yellow and has adjustable legs for the perfect height! Can be used with Kid's plastic chair or any of our standard height chairs.